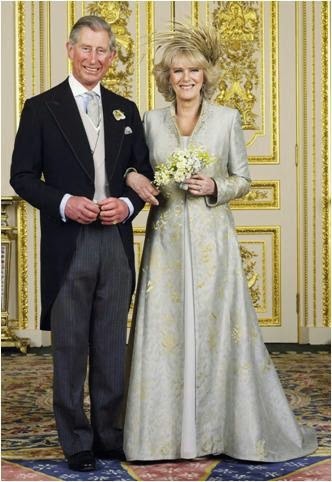 Video: The Prince of Wales married Camilla Parker Bowles on April 9, 2005. Charles and Camilla are celebrating their wedding anniversary this week, and that means there's no better time to revisit Camilla's excellent wedding wear - both flattering and appropriate. It's also time to coordinate your visits to the V&A Museum in London, because the Duchess of Cornwall has loaned her gown for an upcoming exhibition! I'm absolutely dying to see it for myself, since those subtle gold touches are certainly better appreciated in person. Wedding dresses 1775-2014 runs from May 3, 2014 to March 15, 2015. If you go, do report back!